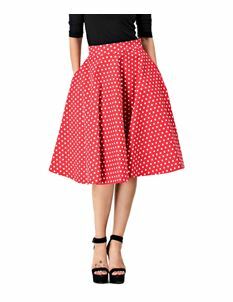 Feel like a pin-up girl with this stunning collection of Dolly & Dotty skirts. Inspired by 40's and 50's fashion styles and prints you will feel like you've stepped back in time. Click below to shop the full collection of Dolly & Dotty skirts.